Common wisdom would suggest that executives talk up their existing device lines to keep customers buying until the next generation is ready. Leave it to Google CFO Patrick Pichette to think outside the box, if not necessarily for the better. He told guests at the Morgan Stanley Technology Conference that the current roster, while good, doesn’t “‘wow’ by Google standards” — it reflects the 18-month device pipeline that fell in Google’s lap when it acquired Motorola last year. As such, we won’t see the full fruits of collaboration until Google has owned Motorola for long enough to put its own spin on products. 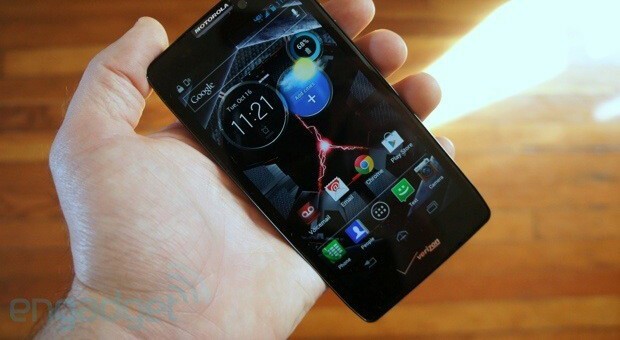 While the remarks stoke the fires of anticipation for any future flagships, they may have unintentionally produced an Osborne Effect: however advanced Motorola’s phones will be in the near term, customers may still have the nagging suspicion that something better is just around the corner. Our first ever Expand event is around the corner, this March 16-17 in San Francisco. In addition to oodles of interesting speakers, there’ll be shiny sights to see: robots, retro games, of course gadgets galore and a few surprises we haven’t even unveiled yet. Wouldn’t it be nice to be able to record said sights with your own state-of-the art camera? Want a chance at nabbing this bad boy for your very own? Step 1 is to Like the Expand Facebook page. Step 2 is to use the entry form on our Facebook page to submit a photo you’ve taken of your favorite gadget, title the photo and give a short description about why it’s your chosen top device. Team Expand will judge entries based on creativity, style and skill. Show us why you deserve a new camera! Good luck, and may the best shot win — you have until this coming Monday, March 4 at 5pm EST to get your entry in. To be eligible to enter, you must be 18 years of age and a U.S. resident (please peruse the full rules). Is this really happening, again? Why, yes, it is. Following up on its massive MDR-X10 bass-pumping headphones from last year, Sony and Simon Cowell have introduced the MDR-X05. 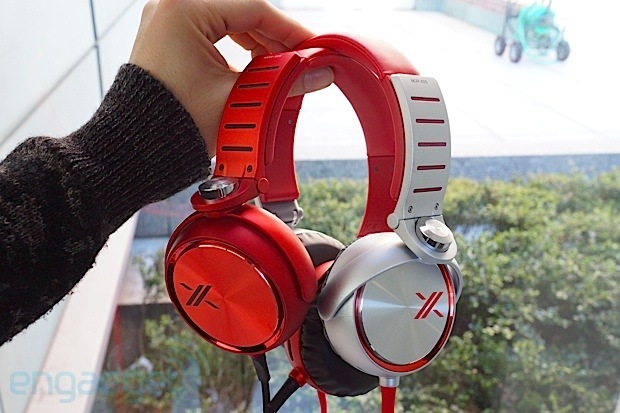 As you might take from the name, the cans are basically a smaller addition to the series, packing 40MM drivers (down from 50) and a few more color options (red/black, red/red, white/silver, red/silver and black/silver) — some of which do the headphones more justice than the silver/red colorway we got our mitts on previously. As far as we can tell, by the way, these are very likely a re-badge of the MDR-X400 headphones for the American market. As you’d expect, the cans fold flat for storage and feature an iDevice-compatible inline remote and mic. Unlike the X10, the tangle-proof flat cabling isn’t removeable and connects using both earcups, but the connections seem robust enough to handle a good bit of torture. Because the same materials and finish are used on the X05 as the X10, the headphones feel virtually the same in-hand — a bit plasticky, but solid overall. The headphones may be smaller, but they still manage to feel nearly as cosy and isolate a fair amount amount of external noise as their bigger brother, mostly because they’re packing the same style of plush memory foam earpads. As far as sound quality goes, the bass push on these is just as smooth and open-sounding as the X10, but the high-end is noticeably harsher — we definitely felt the need to turn on “treble reducer” in our iPhone’s EQ settings. If you’re bass-hungry ears are interested, the X05 headphones are up for pre-sale at Sony’s online store for $200 (100 less than the X10), but the smaller discount won’t make them look any less loud on your ears while you’re out and about. You can expect ’em to hit shelves March 22nd. For now, find more details in the press release after the break. This entry was posted on February 28, 2013, 5:33 pm and is filed under Mobility. You can follow any responses to this entry through RSS 2.0. Both comments and pings are currently closed.